It's time to get excited about your life again. 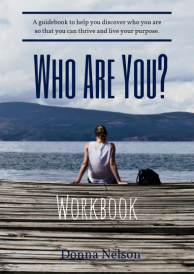 Download this free workbook to dive deep, gain clarity, and really start living! Are You Ready To Fulfil Your Potential ? Are You Ready to Discover Your Purpose and Start Thriving? I'm here to help you with Insights, Inspiration and Practical Ideas to Create a Meaningful, Thriving Life! Hi , I'm Donna . . .
﻿﻿Author, Coach, Trainer and Explorer of All Things Life. and to help you expand your awareness and consciousness. "How can you let your senses connect you to life today? How can you use your curiosity to engage on a deeper level with people? ﻿Hi, I’m Donna Nelson and I’m an author, trainer and coach. It’s my desire to share my insights, ideas, information and inspirations to help you to live an extraordinary and meaningful life. The philosophies, wisdom, tools and concepts that I’ve discovered, learnt and developed will help you to explore your potential, discover your purpose and open your mind to seeing both yourself and life with a whole new perspective. DISCLAIMER: THE INFORMATION ON THIS WEBSITE - DONNANELSON.COM.AU - IS BASED ON MY EXPERIENCES AND IS FOR INFORMATIONAL AND EDUCATIONAL PURPOSES ONLY. IT SHOULD NOT BE CONSTRUED AS MEDICAL ADVICE. READERS ARE ADVISED TO CONSULT A QUALIFIED PROFESSIONAL ABOUT ANY ISSUE REGARDING THEIR HEALTH AND WELL-BEING.